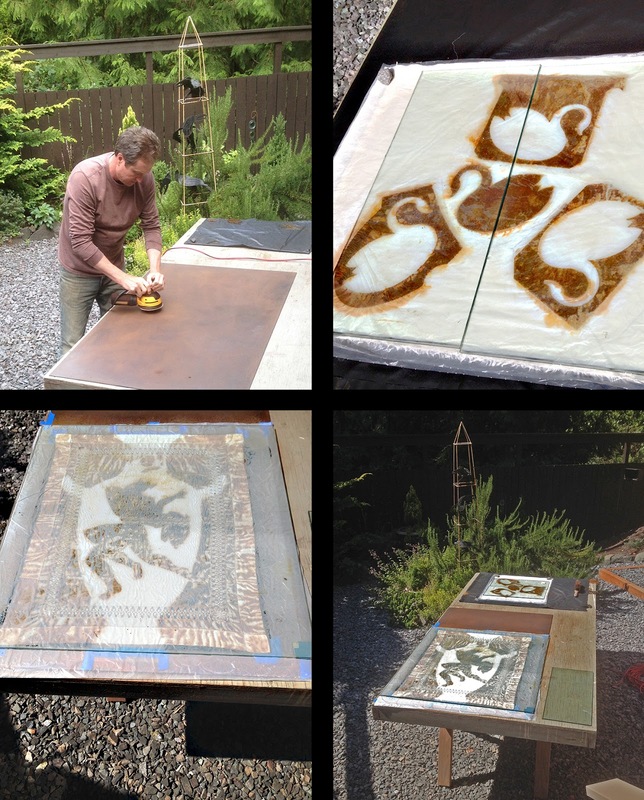 I have been grinding plates, cutting Mylar stencils and making rust happen in the August heat. Vashon Island rarely exceeds the mid 80's but that's the perfect temperature to make rust prints! Here are a few shots of two prints in process.